Wanda Shum Design: New Face Cane! 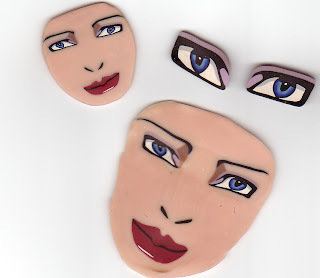 Well, I had one of those creative polymer clay moments a few days ago and made a face cane. I'm in need of new ones for the next year's production. This one is inspired by 80's illustration icon Patrick Nagel's women. I've always liked how the eyes are done. Very pleased with the outcome....now I have to see what I'm going to do with it!